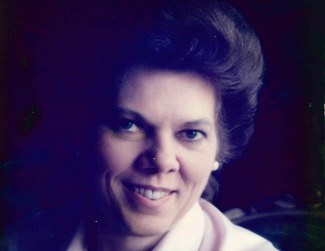 Alta R. Heinley, 81, of East Petersburg, passed away peacefully at Hospice on January 10, 2018. Born in Buena Vista, Salisbury Township, she was the daughter of Willis and M. Elizabeth (Groff) Weaver. Alta is the widow of James P. Quinn, and is survived by her loving and devoted husband, Vernon “Bud” Heinley, her son, Bruce Quinn, 2 granddaughters, Jessica and Sarah, and great-granddaughter, Arabella, all of Lancaster. Alta happily worked in the restaurant industry all her life, most recently at Family Fare Restaurant in East Petersburg. She will be remembered for her strong will, incredible work ethic, and her generous spirit. She enjoyed spending time with family and was happiest when surrounded by those she loved. Alta is also survived by 3 sisters, Elva Sides and Doris Breneman of Lancaster, and Elizabeth Schoelen of Arizona. She was preceded in death by her 3 brothers Ivan, Irvin and Willie Weaver, and her sister, Vera Phillips. Funeral Services officiated by the Reverend Jim Weaver will take place at DeBord Snyder Funeral Home, 141 East Orange Street, Lancaster, on Thursday, January 18, 2018. Viewing and visitation with family will begin at 10:00 AM, a service of remembrance will begin at 11:00 AM with interment immediately following at the Lancaster Cemetery, 205 East Lemon Street, Lancaster, PA. Flowers are welcome, memorial contributions may be made to Hospice & Community Care, PO Box 4125, Lancaster, PA 17604-4125. My deepest sympathy to all of the family. God Speed, and RIP Alta. Thoughts and prayers for you all! I am sorry for your loss of Alta. May the “God of all comfort” embrace you and bring to your minds joyful memories. All the best wishes for your family at this time, take care. Our prayers go out to the Heinley family. I spent many years along side of Alta at the Lancaster Airport Restaurant. We had some fun times as well. I am so sad to hear of her passing before I had a chance to reconnect with her. I now regret not finding time to see her over the holidays. I must admit that I learned a lot of my own cooking skills watching and working along side her. Alta, you will always hold a special place in my heart and my memories of my youth. My condolences to her surviving family.